Zamboanga City Health Office (CHO) has intensified its anti-measles vaccination in the wake of an outbreak of the disease in Metro Manila and Central Luzon. 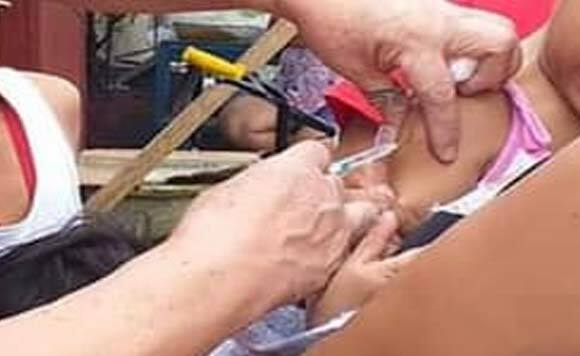 City Health Officer Dr. Dulce Miravite said that vaccination is heightened in the health districts covering especially those who are not yet immunized as well as the so-called mobile or transient population not yet immunized. The CHO has also partnered with private pediatricians to help the local government in promoting the advantages of immunization, she said. “Vaccination for children 6 months to 59 months, is the most effective way to prevent and control measles,” the official said. In February last year, Zamboanga City declared a measles outbreak after cases of suspected measles from January 1-27 rose by 1,343% to 101 compared to the number of cases registered during the same period in 2017. The outbreak declaration has not been lifted since then as measles cases continue to register though they come in in trickles during the past months, Miravite said. To lift the declaration, zero cases should be recorded for three consecutive weeks, she explained. Measles is a serious respiratory disease that causes rash and fever. It is very contagious and in rare cases, can be deadly. The signs and symptoms include fever, cough, runny nose, red eyes, rash of tiny red spots that start at the head and spread to the rest of the body.